Exciting young Tiger Jack Graham headlines the returns for the VFL Tigers this week, as they travel to face North Ballarat on Sunday. 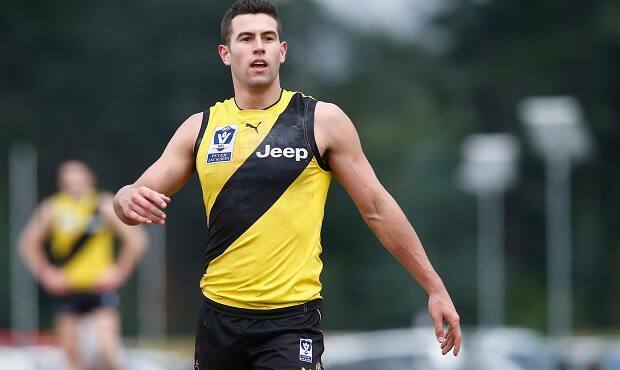 The steely inside-midfielder last appeared for Richmond VFL in the side's 102-point victory over Werribee in Round 13, in which he left the ground at half-time due to an ankle injury. Until that point Graham was producing an impressive display, recording 21 disposals, 14 contested possessions, eight clearances and six tackles. His inclusion bolsters the ranks of an impressive Tigers' midfield, including an in-form Taylor Hunt and the ever-reliable Jacob Townsend. The side also welcomes back captain Sam Darley, who returns from a foot injury sustained against the Northern Blues in Round 10. Darley had been in inspired form in the lead up to the injury, and was recognised for his efforts when awarded the captaincy of the VFL's state representative side earlier in the year. In other team news, Shaun Mannagh will retain his spot as the 23rd player, while fellow VFL-listed players Tyson Kruse and Ryan Bathie have also been included in the extended squad. Sunday's match against the Roosters will commence at 11:00am at Ballarat's Mars Stadium.